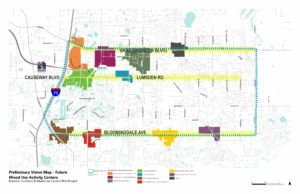 The Brandon Corridors & Mixed Use Centers Pilot study is a joint pilot project of the Planning Commission and Hillsborough MPO. 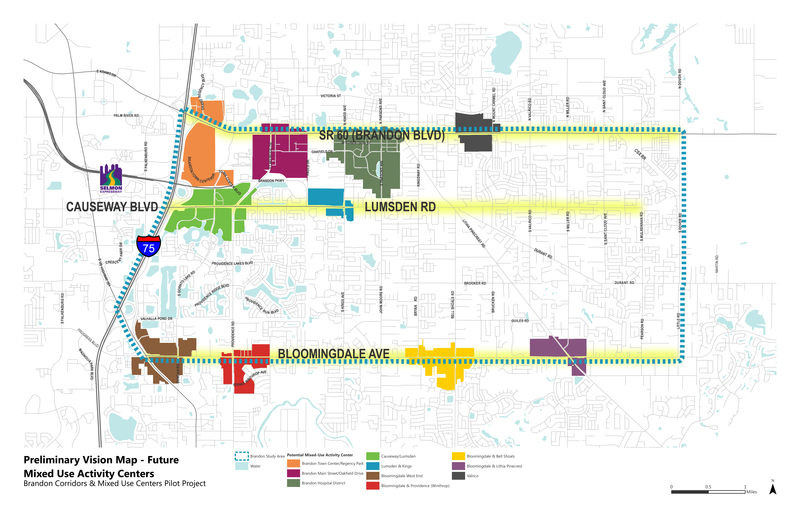 The purpose of the study is to better coordinate the envisioned land use pattern with planned transportation improvements along Brandon’s major east-west corridors – Brandon Boulevard, Lumsden Road, and Bloomingdale Avenue. These busy corridors connect much of Brandon’s residential and commercial development to I-75. We need your input on development and transportation improvements that will support our strongest redevelopment and economic development opportunities in conjunction with transportation improvements that will enhance the development pattern, provide choices, and improve safety for all users.